The PocketBeagle packs on a small board about the size of small tin can of Altoids mints (55mm x 35mm) a lot of processing power and a rich set of features and interfaces, and it only costs $25 !! 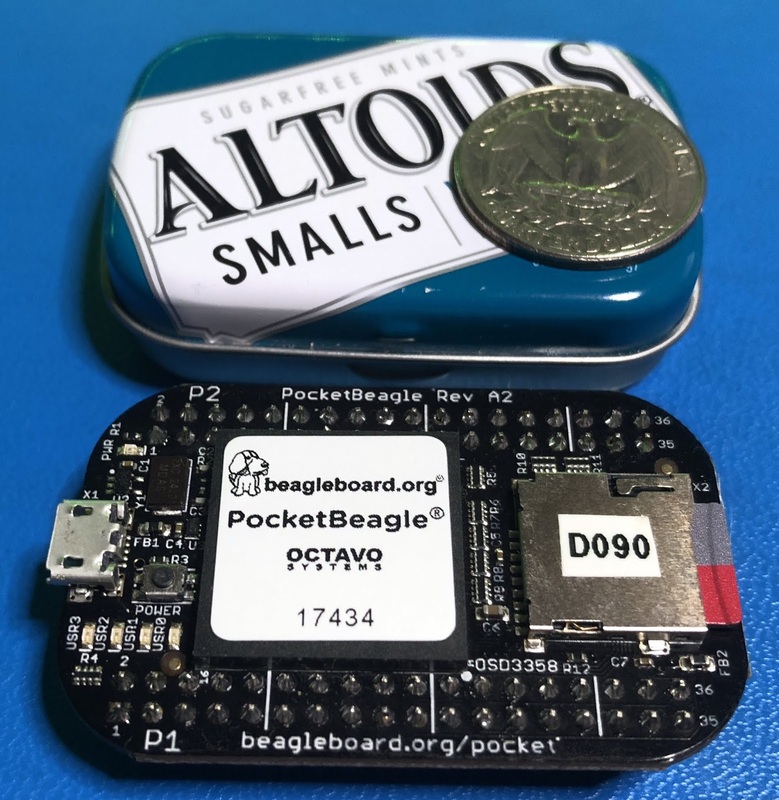 To make the PocketBeagle small and low cost, the board is built around a very novel hardware concept called SiP or System in Package developed by Octavo Systems. Octavo Systems based in Austin, TX was founded couple of years ago by three senior semiconductor technology leaders that have been previously with Texas Instruments. The name comes from the Latin meaning of “one-eight,” which derives from printing 16 double side book pages on a single sheet of paper, then the resulting page size of the book is 1/8 of the original paper sheet. 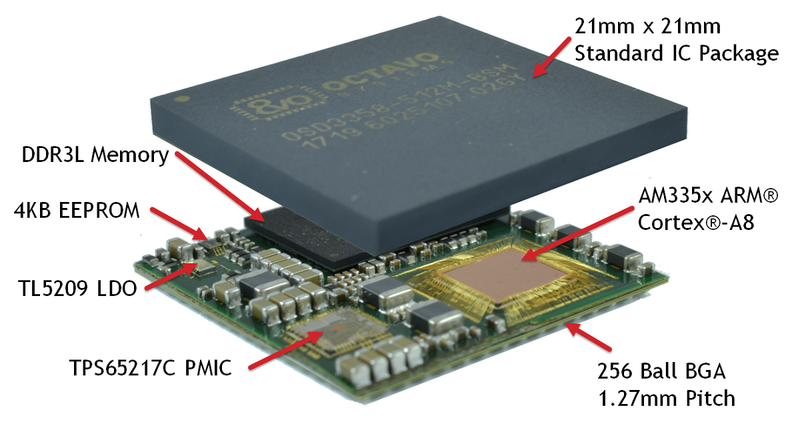 Octavo instead of taking the SoC (System on Chip) approach all the way to custom silicon, developed their technology on the proven process known as Sytem-in-Package, which integrates multiple chips and other components in a single package. In this case for the PocketBeagle, the result is a small footprint BGA like package that includes most of the components to get a system up and running. 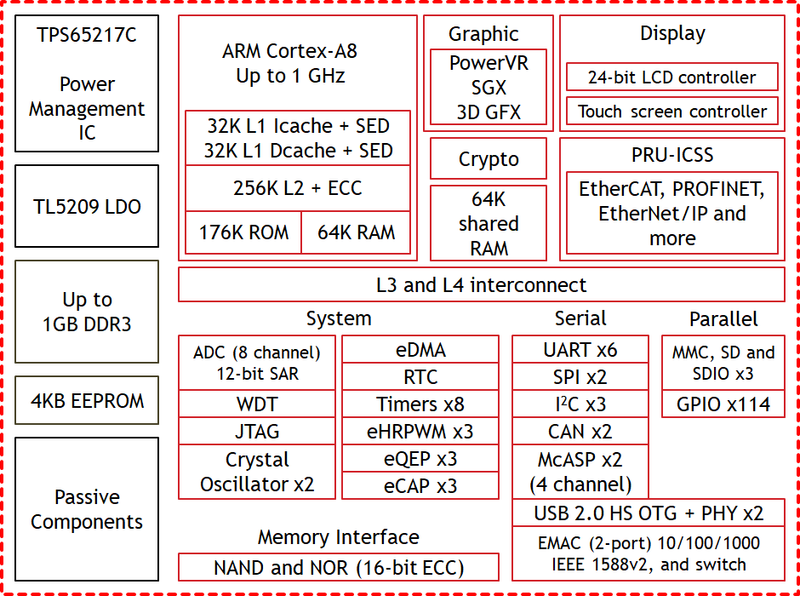 This is a great way to expedite development and time to market since all the details about DDR3 interconnection, Power distribution and management, CPU decoupling, etc, are all taken care of inside the System-in-Package part. 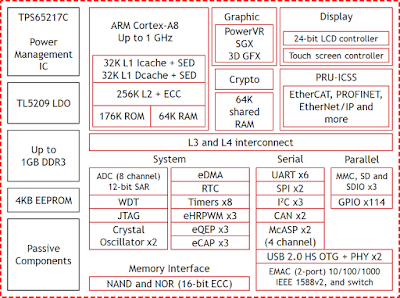 As you will see on the board and its schematics there are not that many parts besides the Octavo OSD3358-512M-BSM SiP, just few LEDs, some resistors to set the configuration of the Octavo SiP, a crystal as the clock source, a push-button, a USB power switch, few passives, the microSD card socket and microUSB connector, that’s it ! 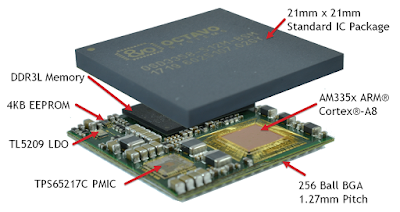 The BeagleBone Black Wireless and the BeagleBone Blue have been also built around the Octavo Systems SiP technology. 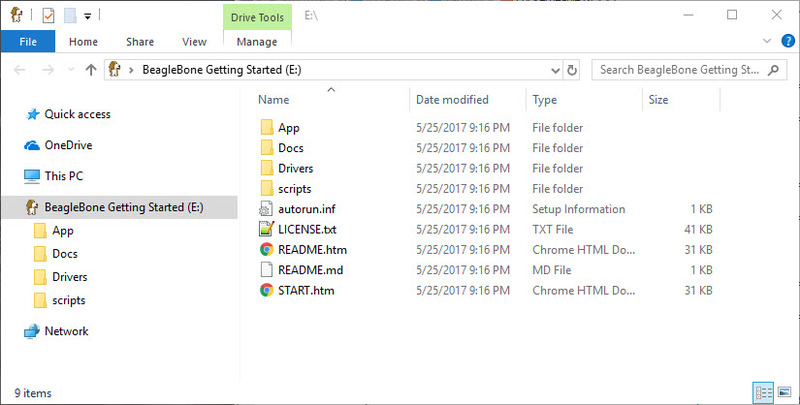 How hard is it to get it running? Piece of cake !! 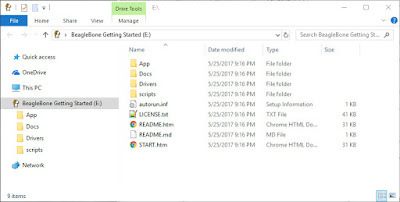 Only extra things you need are a microSD card of at least 4GB (Class 10 recommended), a micro USB cable and a host PC with Windows or Linux, or a Mac. 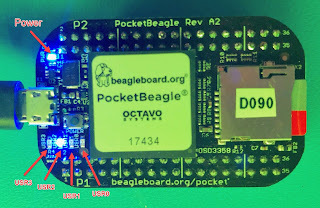 Here is a quick start but you can find also the same information on the PocketBeaglesite. 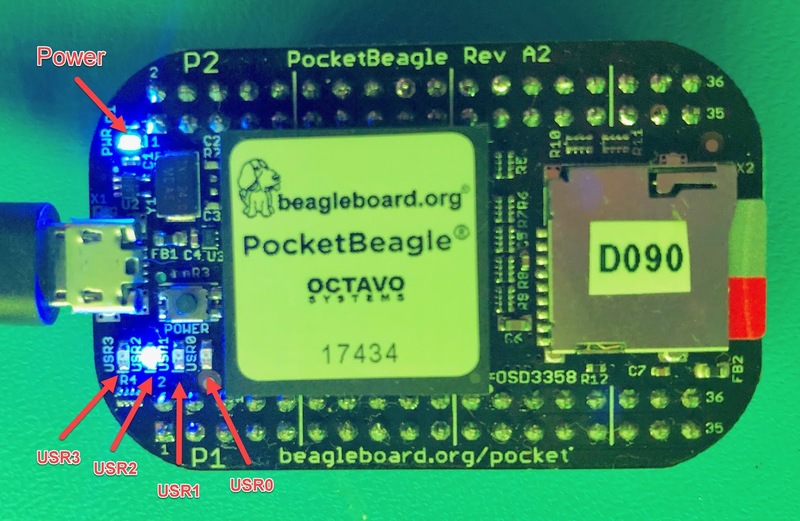 The PocketBeagle will also create a virtual Ethernet interface between itself and your PC via USB, the IPv4 address for the PC side is 192.168.7.1/30 and the PocketBeagle will be 192.168.7.2/30, and a virtual serial console port via USB. It was announced a while ago but last week the deal was completed and Microchip Technology, Inc. acquired Microsemi, Corp. for $10.3 billion, making it the largest acquisition to date. This follows previous acquisitions of other important semiconductor companies such as Atmel, Micrel, SMSC, SST, etc. 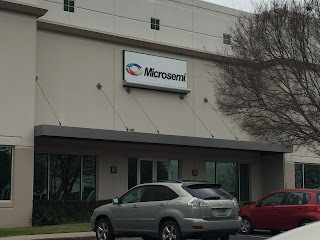 But Microsemi is not foreign to acquisitions, actually the company originally Microsemiconductor founded in 1959 out of Culver City, CA, evolved over time product of multiple acquisitions of other companies and product lines. Most recent ones are for example Vectron, Phonon, PMC-Sierra, Symetricom, Zarklink, Actel, etc., and timing and synthesis business from Maxim, high reliability diode arrays from National Semiconductor, etc. On its early days Microsemi was mostly a provider of semiconductor and systems solutions for defense applications. Nowadays has a very vast portfolio of products that will let Microchip diversify much more their product line, including FPGAs and SoCs, Storage, Ethernet and Network processors, Optical products, PoE, Power Management, Timing, RF transceivers, etc. I visited their offices in Austin, TX last year when I was doing research and learning how to integrate Amazon Voice services (aka Alexa) into embedded systems. Microsemi has a very interesting front end audio processor which uses a revolutionary technology beyond DSPs to analyze the signals in the frequency domain, where using clever algorithms you can separate noise, music from voice, using multiple microphones implement beam forming, determine distance from the source, embed a “wake” word and obviously convert into digital format. At the time I started working with an evaluation board of this processor, now they have a very nice development kit where using a Raspberry Pi you can easily learn how to put together a proof of concept for AVS. 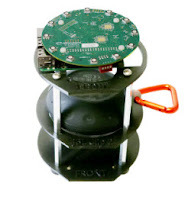 You can order this kit from my friends of Arrow Electronics.